DuraWattle is made with filter fabric that flows water and filters sediment. Its foam core does not absorb water and maintains an effective barrier height. The “tail section” is designed to be trenched in soil or secured to hard surfaces to fight undermining. Read more about how it works. DuraWattle can be installed on soil or along a finished curb. It can also be installed on hard surfaces like asphalt or concrete using wood planks or steel beams. Check out our installation page for more info. 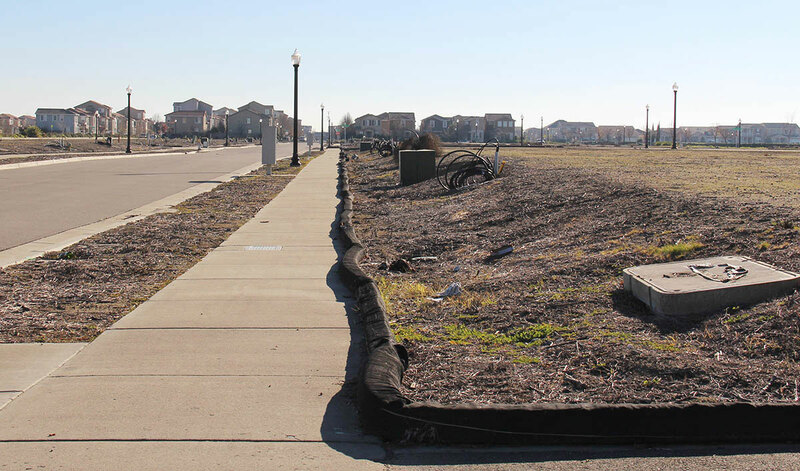 Matt Graves with Port of Vancouver, USA found success when he chose DuraWattle as the sole perimeter control device on a demolition site with both soil and asphalt applications. Click here for the full case study with Port of Vancouver. In high-flow conditions, the non-permeable inner core of the DuraWattle ponds sediment laden water, spreading it out along the length of the product and creating filtered sheet flow. Unlike straw wattle, DuraWattle fights potential undermining with an anchored “tail section” that is trenched into the soil or secured to hard surfaces without compromising its high flow rate. As a direct replacement for silt fence and straw wattle, DuraWattle’s design gives you the ability to find unique solutions to your unique problems. Many of our customers have chosen DuraWattle for unique sediment control challenges. City of Tacoma used DuraWattle to augment an overloaded in-grate biofiltration system at their Waste Management Facility. See the full case study here. 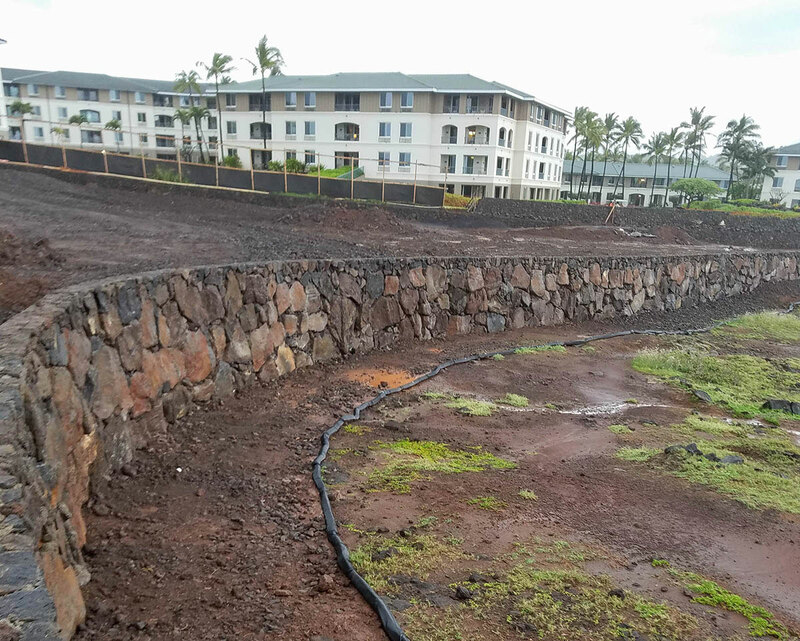 Earthworks Pacific, Inc. in Hawaii innovated with DuraWattle in a unique rock and soil application that was subjected to two 5in rain events. Check out the full case study here. 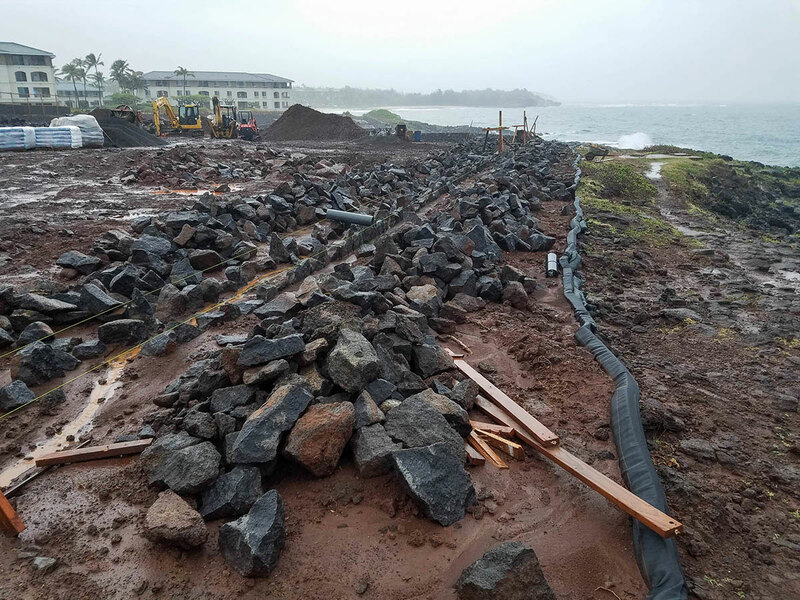 Keep your sites secure with a sediment barrier that can handle being driven over at any spot by heavy machinery without compromising compliance. 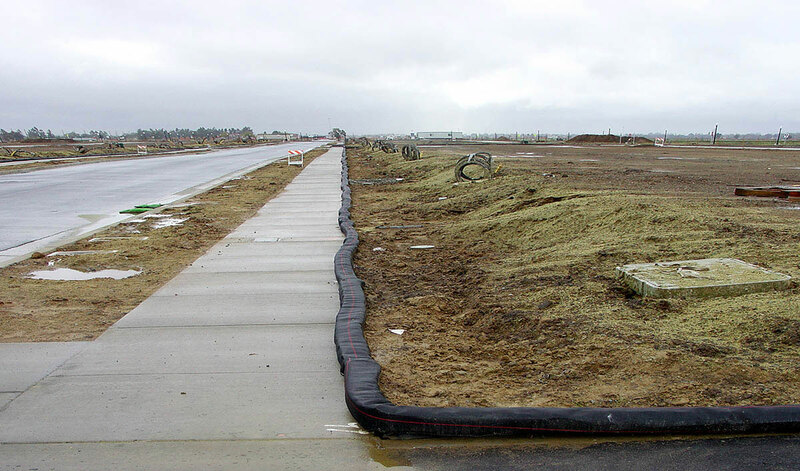 When used in conjunction with rumble plates, tire washouts, or gravel beds, DuraWattle is a powerful tool that can prevent sediment from leaving your site. 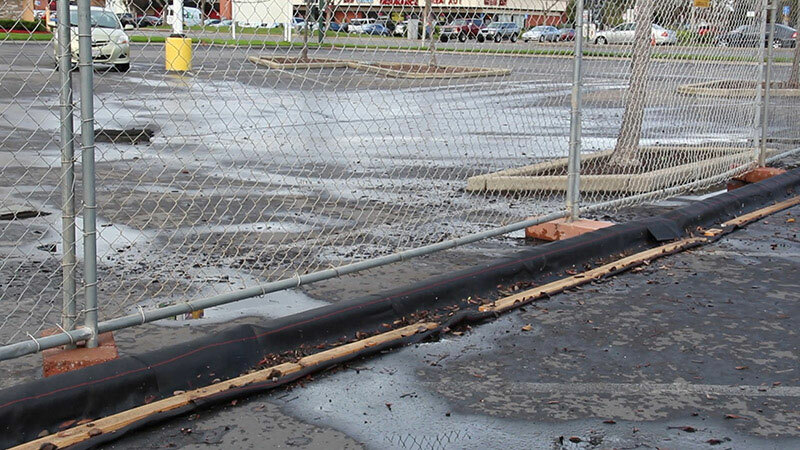 Unlike other synthetic sediment control barriers, pieces of DuraWattle interlock with each other and form a continuous barrier around the perimeter of your site. The DuraWattle was installed at the toe of a 3:1 slope during a simulated 10-year rain event. Click here to read the full summary of the test and results. Our customers report up to 90% of DuraWattle installed as perimeter control is picked up and reused at the next job. In applications at facilities, DuraWattle can stay installed for years at a time with only occasional sections needing replacement. Removing sediment from behind DuraWattle is easy. Simply take a shovel and push the built-up sediment away from the upstream side of the product back towards the site. See our cut sheets for more detailed instructions. How Well Does DuraWattle Age? In 2006, DuraWattle was installed at a new home development in Sacramento, CA. After eight years of being installed, our iconic red line in the fabric had faded to gray, but the installed DuraWattle was just as effective. 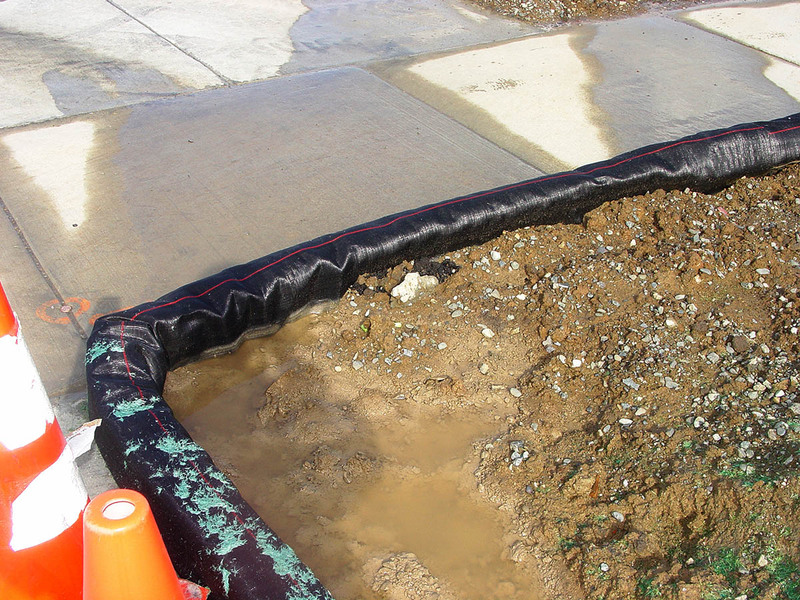 We do not recommend installing DuraWattle as the sole perimeter sediment retention device on sloped job sites with a single low point where runoff can flow. 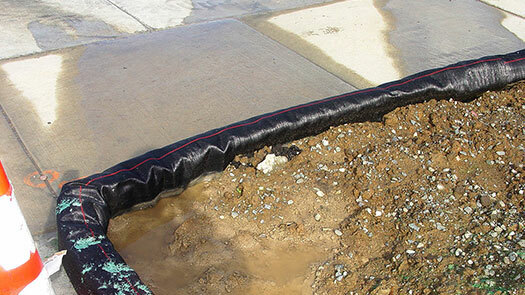 The product’s low profile can be overtaken when high flow sediment-laden water collects at the low point during heavy rain events.